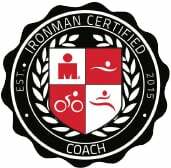 Our team have a wide range of professional knowledge and experience as well as many years real world experience racing events from 5km to Ironman. 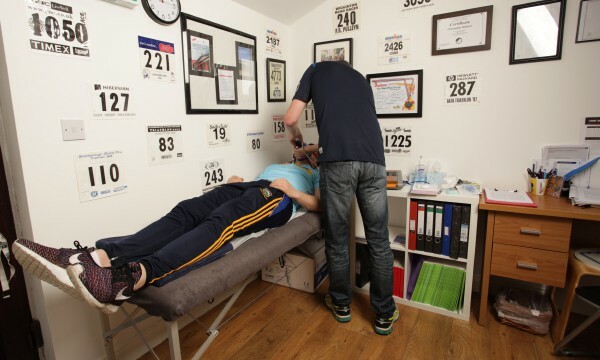 Here at the Leinster Sports Clinic we have years of experience working with athletes from novice to experienced pros. The staff at Leinster Sports Clinic are also available for club lectures and presentations, please contact us for more information. The reality of weight management for both the athlete and non-athlete is very simple, and is dependent on the number of calories you consume versus the number of calories you burn. This Energy Balance Equation will determine an individual’s body composition. An individual’s body composition is a major factor on everyone’s health, wellbeing and performance. Therefore, all clients at the Leinster Sports Clinic undergo regular body composition analysis to monitor and tailor their individual programme. The body composition analysis is carried out using a clinical bio-impedance monitor. All of these parameters play a major role in maintaining good health and in maximising sporting performance. This test involves the client fasting for a period of 4 hours, then lying still on a couch while connected via a face mask to a gas analyser for 15 minutes. The clients resting metabolic rate i.e. how many calories per day an individual burns before lifestyle/training etc. are accounted for. Unfortunately, most people tend to over-estimate the number of calories they burn through their activities of daily life and training, and underestimate their calorie intake. RMR can account for 65 to 80% of calories burned by an individual each day. This is what is referred to as our metabolism and it is therefore very important that we know what it is and whether it is high or low. Another important parameter measured during the RMR Test is the Respiratory Quotient. The human body utilises a mixture of carbohydrate and fats to produce energy and the respiratory quotient is an accurate measure used to identify which fuel each individual utilises. This can have important implications on diet, weight management and athletic performance. Who should have an exercise test? To identify and monitor an individual’s ability to perform sustained exercise at given intensities. To identify V02 Max, the maximal amount of oxygen an individual can utilise during intense, maximal exercise. 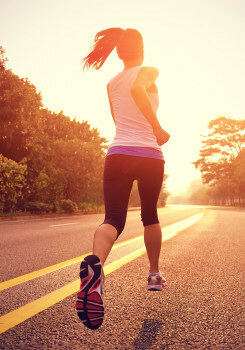 To identify aerobic threshold, the metabolic point that an individual moves from aerobic to anaerobic metabolism. The most accurate way to establish an individual’s heart rate training zones. The most accurate way to establish energy requirements and substrate utilisation at any given exercise intensity. What does the exercise test consist of? 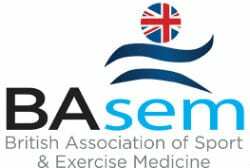 performance are given by our BASES registered exercise scientist, with plenty of time for questions. 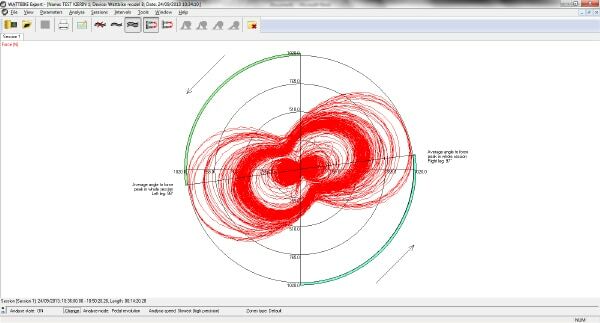 As power meters are becoming more and more popular among cyclists and triathletes. 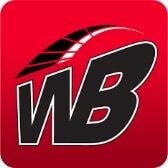 We offer the standardised power test as used by British Cycling and some of the top pro teams. 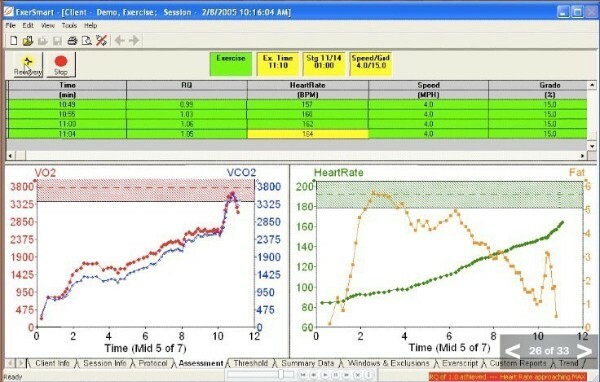 As with the cardiopulmonary exercise test the FTP test provides a standardised and individualised test that can be accurately reproduced any number of times to reevaluate an athletes progress to ensure they are getting the most from their training. 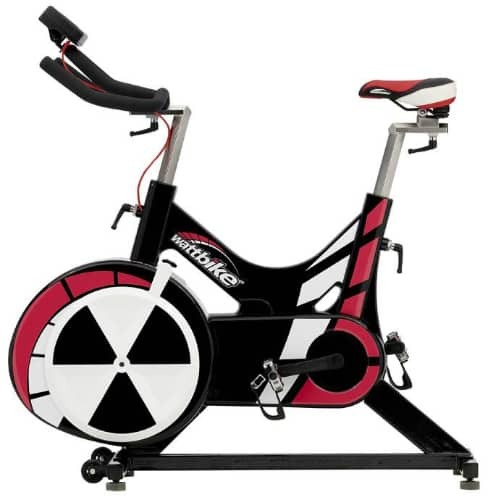 Following setup on the Wattbike and attachment of the heart rate monitor, a warm up is undertaken. After this the athlete rides an all out 20 minute time trial to their best effort. These parameters are used to identify strengths and weaknesses in the athlete’s performance and can be used to develop individual specific training programmes to ensure the athlete progresses. The effectiveness of each programme can be monitored by carrying out a standardised retest. If you suffer from the above, it may be that you are suffering from a foot gait or biomechanics issue. At the Leinster Sports Clinic we offer all patients a full clinical assessment, a 3D foot gait analysis, and our specialist will be able to highlight any issues or areas of concern, enabling them to design and manufacture a custom orthotic (ON SITE THE SAME DAY) to your specific requirements. Our team have manufactured orthotics for the Premiership Football players, Super League rugby teams, County Cricket teams, GAA County teams, as well as a wide range of club athletes andiron sporting clients. An Orthotic is a specially fitted insole/insert for a shoe/boot, it is usually prescribed for any of the above conditions, and its function is to realign the skeletal system so the muscles ligaments and tendons are not under pressure thus reducing the risk of injury. The realignment of the skeletal system can help reduce the pain and symptoms associated with the above conditions. Our orthotics are lightweight and durable and can be adjusted on site at any time. The orthotic we provide are Sports/lifestyle specific, we offer rugby, tennis, football, running, golf, cycling, basketball and many other types of sports orthotic. In addition, orthotics can be reproduced for any style of footwear ranging from heavy work boots to ladies’ city shoes. At the Leinster Sports Clinic, we are very careful in the assessment and prescription of Children’s Orthotics. Children under certain age would not be considered unless there was a letter of referral from a Consultant. 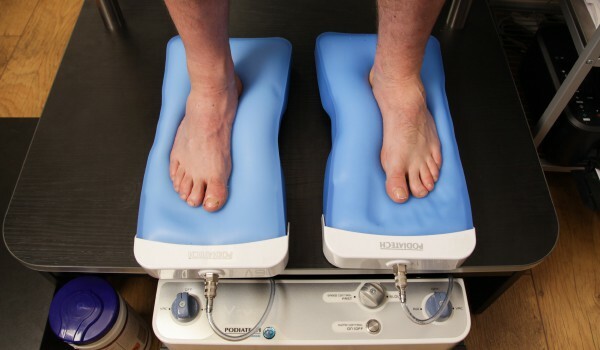 We offer a full assessment as in adults and we then decide on which course of action to take, again we manufacture the orthotics on site to offer the best custom fit to the patient. It is the treatment and management of pain and impaired movement by means of myofacial techniques, deep tissue massage, joint mobilisations, and exercise prescription. We aim to restore full normal movement and eliminate pain resulting from sports and occupational injury. Please don’t hesitate to contact us if you require more information on any of our services. Been to see Deirdre at Leinster Sports Clinic this morning, she is a very practical person who gives excellent advise on nutrition and running. She sorted my shin splint problems a year ago and I’ve never looked back, I highly recommend them!! Can’t recommend these guys enough. Exceptional service and so professional, thanks and see u in February. Could not recommend the Leinster Sports Clinic high enough. I found the service excellent i.e. very friendly and do a good job I found them very helpful to me and my grandson.